As everyone here probably knows, I’m a struggling Cubs fan. It has been a love affair lasting over 25 years, since the days when Ron Cey, Keith Moreland, Lee Smith, Leon Durham, and others were breaking hearts across various National League ballparks. I find it sad that it has been over 27 years since Steve Goodman first sang 'A Dying Cub Fans Last Request' on the Ides of March, 1983. It’s sad when considering of our own mortality and the extent of Cub fan disappointment. 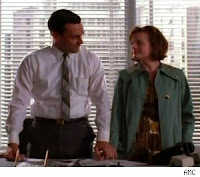 Speaking of which, how about this weekend's “Mad Men” episode this week, huh? The one where Peggy stays late at work on her birthday? That was a pretty fantastic episode. The link to the post on Baseball Almanac is worth the read and also contains the folkloric song lyrics. The song has unfortunately rung true to too many dying Cub fans the past three decades, and I’ll never forget the sad game recaps when Harry Caray hosted 'The 10th Inning Post Game Show' after losses in 1997. He would lament the fact that he didn’t expect the team to win a World Series in his lifetime. The 102 year championship drought is tough to describe. There is sadness and humor in the drought, hope and despair. Alas, we’re not here to talk about the Cubs. I was thinking that it's about time someone compared the careers of current and recent GM of the Mets, Omar Minaya and Steve Philips. New York is a Yankee town, but I’m still drawn to the Mets because I prefer National League ball and some of my dear friends of Mets fans. The Mets have had some trying times the last few years, with late season heartbreak in losing Game 7 of the ’06 NLCS, missing the 2007 and 2008 playoffs, followed by lost seasons in 2009 and this year. Let us cry not for Met fans, however. Let's keep things in perspective: nothing in the brief 49-year old history of the New York Metropolitans really compares with the 135-year old history of the organization which has played as the Chicago White Stockings (1876*-1889), Colts (1890-1897), Orphans (1898-1902), and Cubs (1903-today). 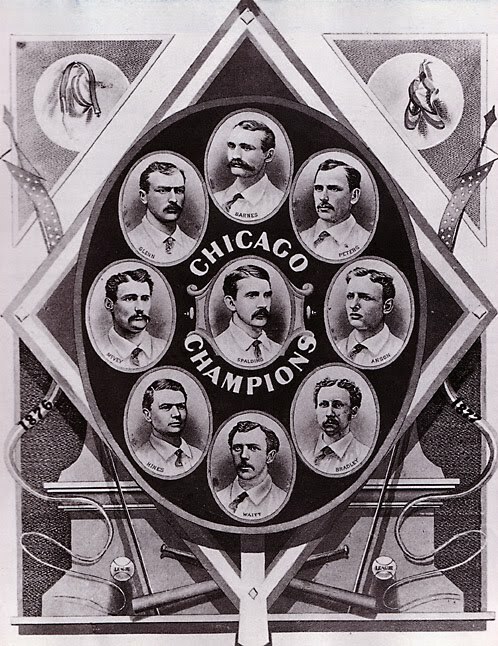 *In the first year of professional Major League Baseball, the championship was naturally won by the Chicago National League Ballclub, known back then as the White Stockings and the Cubs for the past 108 years. It's also interesting, at least to me, that before this current 102-year drought, the Cubs were a powerhouse, having won back-to-back World Series in 1907 and 1908. How the mighty have fallen, indeed. It was during my bout of inspiration two Fridays ago that it dawned on me to take a peek at the Mets from the desk of their three most recent General Managers. We often poke fun at Steve Phillips and Omar Minaya for their moves which have backfired. * So, I thought it would be novel to take an up close look at their transactions during their terms in office. Jim Duquette was interim manager for a little over a year, in between Phillips and Minaya. His moves will also be mentioned. *To be fair, we also poke fun at the stupid things Steve Phillips occasionally says as an analyst. As my instincts suggested, we can peruse all team transactions during each General Manager’s tenure with Baseball Reference. In fact, here are all the links, in case someone would like to audit our study: 1997, 1998, 1999, 2000, 2001, 2002, 2003, 2004, 2005, 2006, 2007, 2008, 2009, and 2010. 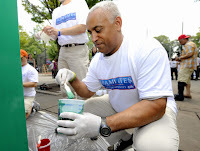 My hypothesis of this investigation is that Omar Minaya has had his rough moments, but he was a better GM than Steve Phillips. In the end, we're not going to be very scientific. Hopefully, we'll learn something, remember other things we've forgotten, and have some fun along the way. There are thousands of things happening behind the scenes that we'll likely never know about, and we're just looking at transactions. We aren't looking at lots of scouting reports, building a farm system, developing players, negotiating salaries, etc, etc. Transactions are enough. *As you’ll quickly see, there is A LOT of information, even when we try to weed out lesser impactful moves. Towards the end of the Phillips portion and most of Minaya's, we group a bunch of moves together, if appropriate. Turk Wendell was better for the Mets than Mark Clark was for the Cubs, and everyone else was less than good for their new teams. Olerud’s last three seasons in Toronto produced avWAR* of 3.2, 1.8, and 2.4. Phillips saw something and signed him to a 3-year/$14.5 Million deal, and Olerud rewarded the Mets with three consecutive avWAR seasons of 5.0, 8.3, and 5.8. He then signed a free agent deal with the Mariners and continued to play well into his mid 30’s. *reminder of this post announcing how we will average Fangraphs WAR and Baseball-Reference WAR. I hope Dennis Cook wasn’t on steroids, but the best season of his career was his first with the Mets, when he was 35 years old in 1998. That's fishy. In his four years with the team, until his age 38 season, he pitched out of the bullpen and appeared in 255 games, finishing 56 of them with 25 wins, 13 losses, 6 saves, and a 113 ERA+. The guys Phillips gave up never made it to the big leagues. Phillips is looking good so far! Everett’s peak seasons immediately followed his escape from New York, while Hudek did nothing before getting flipped for Lenny Harris, who played at below replacement level in 484 plate appearances for the Mets. Trading the pre-arbitration years of A.J. Burnett to the Marlins was a steep price to pay, but Al Leiter had a fantastic career with the Mets. 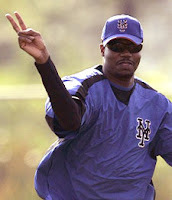 He was a big part of the team that won the pennant in 2000 before losing the Subway Series to the Yankees. 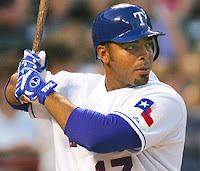 The signing was a win, as Nelson Cruz became a late bloomer that has really helped the Texas Rangers the last few years. 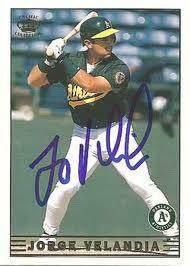 Phillips undid his team’s good scouting work on August 30, 2000 by trading Cruz to the Oakland A’s for utility infielder Jorge Velandia. In 2000, a 25-year old Valendia played in 15 games and had 9 plate appearances, but failed to get a hit. He also hit .000 in 2001, with 11 plate appearances in 9 games. The Mets never called him up in 2002, but in 2003, the 28-year old finally got his first hit as a Met, getting 11 hits in 58 at bats. His career triple slash line for the Mets? .149/.281/.216. Velandia showed patience and had a very healthy 14:18 strikeout to walk ratio. Still, I’d rather have Nelson Cruz. Piazza continued his Hall of Fame career in Queens, making seven All Star Teams in eight years while showing offensive production that hadn’t been seen from a backstop in over a generation. Admittedly, it’s nitpicking to criticize baseball General Managers for the MLB draft, especially when the draft itself is a bit of a crapshoot, and someone else in the front office usually is charged with running the draft. However, I have to point out that Matt Thornton was drafted and signed by the Mariners with the 22nd pick. He would have been great for the ’07 and ’08 teams that missed the playoffs because of their bullpen. They found a solid major league ballplayer in the 17th Round. If the Mets had kept Bell, this would have been a big win. 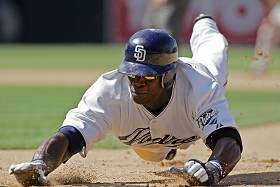 Bell didn’t have much success with the Mets, but we all know about his success in San Diego. In a little while, we’ll chronicle how Omar Minaya turns this into an epic fail. He also didn’t cost much or do much as a Met, so it’s a push. What’s interesting, at least to me, is that Melvin Mora was a 27 year old rookie in 1999. Mora was a steady contributor to the Orioles for nine and a half seasons after leaving the Mets. He hit 158 HR’s as an Oriole, and is holding his own this season as a part-timer for the Rockies. 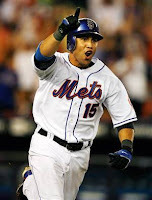 Mora has a very healthy OBP of .355, as a 38 year old, which is on par with his career mark of .353. He’s made over $37 million in his career, made two All Star teams, and won the American League Silver Slugger for 3rd Base in 2004. That’s no small feat, considering there was a 28-year old 3rd baseman on the Yankees named Alex Rodriguez who was juicing. So, if you know any 26 year old minor leaguers who may be getting discouraged, tell them to look up the story of Melvin Mora. I was going to say, this was a great win for the Mets. Bonilla put up good numbers as a Met. Unfortunately, that was from 1992-’95. By late 1998, Bobby Bo was finished. In just 141 plate appearances for the Mets after this trade, he was one and a half wins worse than a replacement player. That’s really bad in only 141 PA’s, but that’s what a 48 OPS+ will do for you. The only reason this trade isn’t a complete loss is because Mel Rojas was horrible with a capital HORR. Ventura had an excellent run with the Mets. In three seasons, he banged 77 homeruns with a .360 OBP and 112 OPS+, and for what it’s worth he won the gold glove in 1999. *traded Charles Johnson for Armando Benitez. 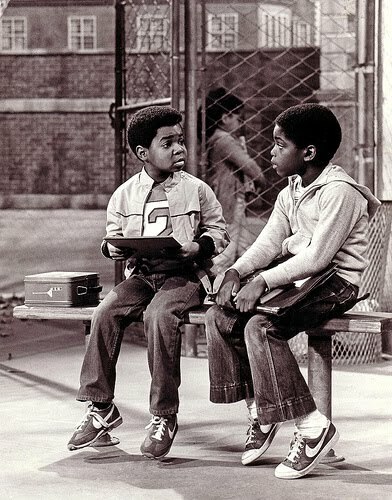 Much like how the Gooch never made it to the screen on “Diff’rent Strokes”, Arnold Gooch never made it to the big leagues. Hundley was good for the Mets and Dodgers, but his performance was about to fall on a cliff after the Cubs got their hands on him. The Mets got some use out of Cedeno, and with all of Armando Benitez’s well documented ups and downs, his best years were with the Mets. Juan LeBron may have been the first LeBron, but he never made it to the big leagues. Joe Randa, meanwhile, had a very nice career. In 1,522 career games, Randa had 1,543 hits, and a career slash line of .284/.339/.426. His defense was very good for the most part until his 35th birthday. Rickey played very well for a year and a half on the Mets. In 152 games, he hit .298, on-base’d .416, scored 106 runs, and stole 42 bases with a 116 OPS+ as a 40 and 41-year old. Another 40-year old that helped out in 1999 was the Bulldog. He had a 1.95 avWAR, which is pretty solid return for a $2.5 million investment, even back then. Even though they sold Pagan to the Cubs and had to trade for him two years later, getting two major leaguers per draft, especially after the first three rounds, isn’t bad. Rogers didn’t pitch great for the Mets, but he went 5-1 in 12 starts with a 111 ERA+. He helped them get to the playoffs, where he did not perform so well. 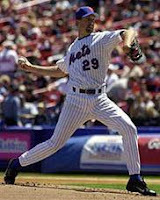 The highlight was when he pitched two scoreless in innings 13 and 14 of a 15-inning win for the Mets. Game 6 was a problem, as he walked in the winning run in the bottom of the 11tt. Traded Jason Isringhausen and Greg McMichael to the Oakland A’s for Billy Taylor. 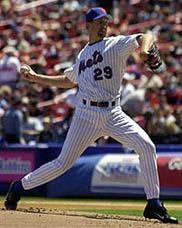 The Mets should have tried Isringhausen in the bullpen, as he went on to save 293 saves in his career, but only 1 for the Mets. Billy Taylor was TERRIBLE for the Mets. His ERA was over 8.00, and I don’t even think he made the postseason roster. The big names in this trade were all basically past their primes, but the guys they gave up really didn’t do much afterwards, while Hamilton and McElroy played well for the Mets. I could go on for another eleven thousand words on the efficacy of the intangibles Shawon Dunston brings to a team. For the sake of everyone’s attention span, I’ll just point out that Dunston hit .344 for the Mets, which incredibly translated to a 99 OPS+ because he had no (and I mean Zero) walks as a Met. Glendon Rusch didn’t become a star, but he was a serviceable Major Leaguer for 12 seasons and became a much more valuable player than Dan Murray. Zeile’s 2.2 WAR season as the starting first baseman in 2000 and his contributions in the NLCS helped propel the team into the World Series. This was almost a push or a loss because Dotel was so awesome for the Astros, but Hampton and Bell also contributed to winning the pennant in 2000. Timo was a low-cost add who played well in the Division Series and NLCS in 2000. This was probably a low-cost addition, but Banks was bad a long time before 2000. He never even made it out of triple-A in 2000, before the Mets cut him loose after the World Series. We already touched on this one. Mike Bordick fell short of expectations. Traded Nelson Cruz to the Oakland A’s for the aforementioned Jorge Velandia. The Mets made it to the World Series and lost as the cross-town Yankees 3-pete’d. Relaford was good as a Met. He was their utility infielder who occasionally got regular playing time when someone like Edgardo Alfonso would get hurt. In his one season with the Mets, 2001, Desi Relaford batted .302/.364/.472 with 35 extra base hits in 301 at bats and a 118 OPS+. People do not mention Kevin Appier enough as a dominant pitcher of his time. Being on the Royals in the 1990’s will do that to you. 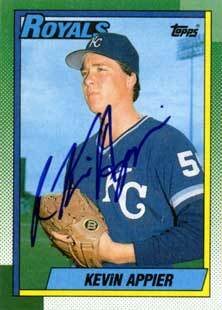 When he was 25-years old, Appier went 18-8 and led the league with a 2.56 ERA, 179 ERA+, and 0.3 HR/9. He finished 3rd in the American League CY Young voting that year, 1993, behind Black Jack McDowell, who won 22 games, and Randy Johnson, who struck out 308 and won 19 for an 82-80 Mariners club. 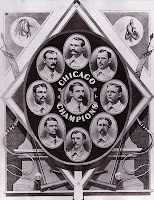 McDowell’s White Sox were a loaded team that won the old American League West. Anyway, back to Appier. He was fantastic from 1990 to 1997, never finishing with an ERA+ below 121. Steve Phillips saw Appier as worth the risk, and even though he had lead the American League with 102 walks the year before, the move paid off. He started 31 games for the Mets, going 11-10 with a 3.57 ERA and 111 ERA+. Shinjo not that OPS+ is everything, had a below average 90 OPS+. For more standard stats, his career OBP was .299. His first year with the Mets, he stole four bases and was caught five times. The reason the Mets went from the World Series in 2000 to an 82-80 club in 2001 is because of the mediocrity they started importing onto their Major League roster. Shinjo was certainly a part of that. He got 438 plate appearances in 2001 and made 312 outs, which really hurt his club’s chances. On December 11, 2000, Phillips should have signed Kevin Appier and gone to the movies to see “Billy Elliot” or “Red Planet”, or something. 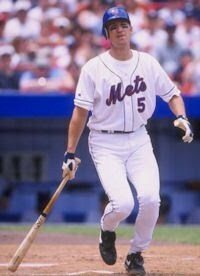 Bubba Trammell would have done better for the Mets than Tsuyoshi Shinjo, and Donne Wall was terrible. That’s a double whammy. After a pretty miserable time with the Cubs, losing 18 games in 1999 in particular, and losing another 15 in two AL stops during 2000, Trachsel actually performed a bit better one getting to New York. He still lost double decision games in each of his first four seasons with the Mets and was just never quite good enough to achieve greatness as an individual or in reaching team goals. I’m sure this didn’t cost a lot of money, and I’m sorry if this was some sort of ceremonial signing so that Steve Ontiveros could retire as a Met. Considering Ontiveros never played for the Mets, I think this was just a case of Steve Phillips thinking that another 40-year old could help the team. There is a disconnection, however, when you see the lineage as Rickey Henderson, Orel Hershiser, Steve Ontiveros. After Velandia’s .000 batting average in 2000, maybe Phillips should have been looking for an upgrade. This is that rare combination of hindsight and foresight working in tandem. Fans don’t know it, yet, since 2001 games have yet to be played, but if you’re still with us, I think we can see the foundation for lousy play being set. There were a few other minor signings that each had different degrees of failure. Steve Phillips proceeded to sign or trade for jadrools like Darren Bragg, Tom Martin, (stop me if you’ve heard this list before), Joe Depastino, Tony Tarasco, and Brian Rose, who at least hurt the team in opportunity cost. In the past 15 months, Phillips also happened to lose Endy Chavez to Kansas City in the Rule 5 draft, reacquire him and trade him back to the Royals the same day. Chavez would have a few stops before finally delighting Met fans with his defense and baserunning in ’06, ’07, and ’08. The season is over a month old. The Mets are 14-18. Serafini never pitches for the Mets. The Mets are 14-19. Linton never again pitches in the National League. At this point in time, the Mets are 22-30 with a -69 run differential and an even worse Pythagorean Winning percentage of .368. 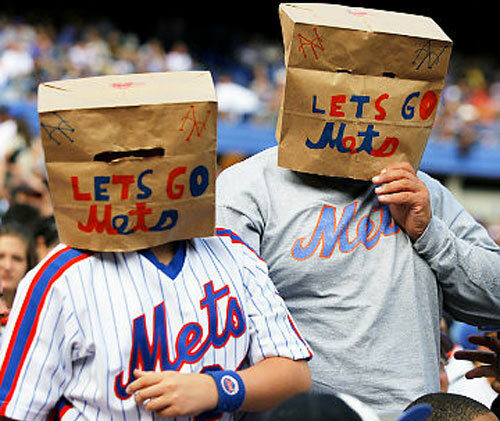 The Mets finished the season a lackluster 82-80. Petit was/is good, as he’s had to battle injuries for too long. Traded Alex Escobar, Matt Lawton, Jerrod Riggan, Earl Snyder, and Billy Traber to the Cleveland Indians for Roberto Alomar and Michael Bacsik. Something about December 11 makes Steve Phillips think big, I guess. This time, he should have gone out to see “Training Day” or “American Pie 2”. Roberto Alomar was terrible for the Mets. From December 12 through the rest of the year, that’s three slight wins and five losses. Traded Todd Zeile, Lenny Harris, Glendon Rusch, and Benny Agbayani for Ross Gload, Craig House, Jeromy Burnitz, Lou Collier, Jeff D’Amico, and Mark Sweeney. If only for opportunity cost, this is a loss. Jason Bay was better than Lou Collier and useful in a future trade. It looks like a meaningless trade, when Bruce Chen and Scott Strickland are the most recognizable names. We left the hyperlinks in there, in case you’d like to see which side got a better deal. Oh and by the way, this is one of those magical deals between Steve Phillips AND Omar Minaya, who was of course the GM of the Expos at the time. It’s actually kind of funny to see that both of these guys went in together on a seven-player deal, and neither GM was able to get anything really good out of it. Phillips successfully found a power arm on each side of the hill in this draft. Gomez was a big piece of the Johan Santana trade, so even though he hasn’t become much for the Twins or Brewers, he worked for the Mets. 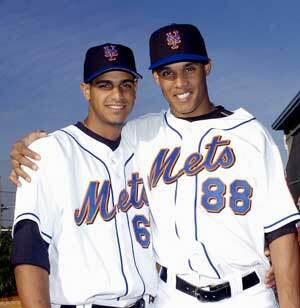 Of course, the Johan trade was during Minaya’s tenure. They were more than 20 games out of first place on this date, so at least they got something useful for the future. After the postseason, nothing much happened from when free agency opened up until the resigning of Velandia on November 25th. When December came around, Met fans were waiting for a splash, while Phillips was stealing a franchise icon from the Braves. 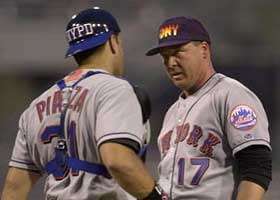 On December 5, 2002, Glavine decided to go with Phillips and the Mets. 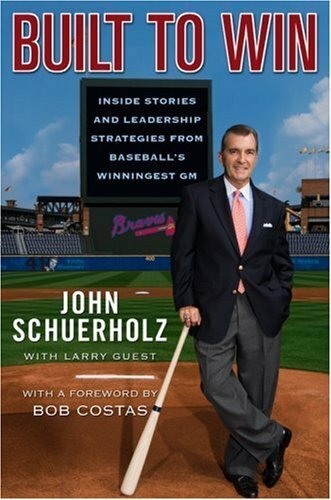 As John Schuerholz writes in his book: “Built to Win: Inside Stories and Leadership Strategies from baseball’s winningest GM”, they has a six hour meeting on December 3rd that didn’t seal the deal. Apparently, the big difference in the offers was that the Mets offered a $35 million / 3-yr deal with a 4th year option or $3 million buyout, while the Braves offered a $30 million / 3-yr deal with an innings pitched clause to guarantee the 4th year. The three of them had a tough time getting Glavine’s agent on the phone that night. When Shuerholz hadn’t heard from Glavine by noon on Sunday, he called him and heard that Glavine simply decided to stay with the Mets. 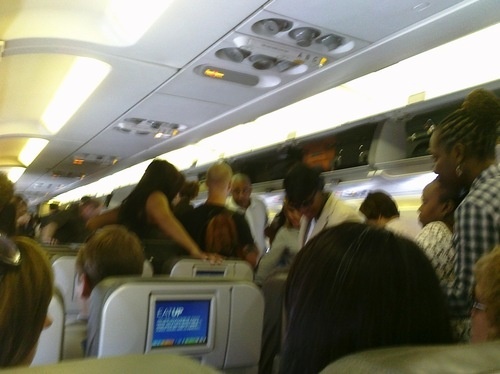 An hour later, he and his wife were on a private plane to New York to begin his new life as a Met. Although Steve Phillips had gone through two difficult years, and he wasn’t going to survive the season as GM, this move looked like it could save his job by turning the franchise around. Let’s not underrate the positive impact for the Mets was doubly impacted because it was also a major loss for the division rival Braves. On second thought, this move seemed less inspired. We’re not ruling it a loss because Trachsel was at least serviceable and even had his best Mets season in 2003. He stopped losing double digit games every year. We keep going back to opportunity cost. I don’t suggest that the Mets, or any franchise, could always just sign the most desirable free agents and trade for the best pieces. There is more value in not signing an average player than signing them to guaranteed dollars. There are cheaper options for a fifth starter, who can get you innings, ground balls, even just throw strikes. Invest those dollars in scouting the Pacific Rim, Europe, the Middle East, and the Caribbean. Build a baseball academy in Hawaii or Japan. Don’t give millions of dollars to Steve Trachsel and Tsuyoshi Shinjo. It was becoming clear to some that Ordonez would never be able to hit. He wasn’t going to flip the Ozzie Smith switch and become at least capable of handling the bat effectively. He was like a goalie trying to work the midfield, and Russ Johnson is a decent player even still today. Doesn’t a baseball academy in Thailand sound better than investing $1.3 million for a nightmarish 27 OPS+ from Rey Sanchez? Floyd is great. He suffered a terrible wrist injury just before his prime years and never was able to rebuild the early power he flashed as a young Expo. He was really good in odd-numbered years for the Mets to an impressive 8.4 avWAR player in four seasons, with a 116 Met OPS+. 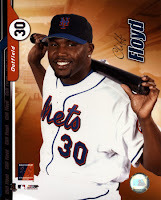 Not only that, Cliff Floyd was a powerful hitter and positive influence in every clubhouse he’s ever been. As I’m sure Ron Artest agrees, big ups for signing Cliff Floyd. C’mon, Phillips, we just gave you big ups, and two days later you bring back the light hitting Shinjo? Tony Clark was valuable well beyond 2003, but the Mets just signed Cliff Floyd. I think it’s safe to say that if Phillips was considering it at all, he must have been expecting too much from one of these fellas. From the end of January to Opening Day, the transaction wire was littered with misused signings like Dan Wheeler, Jay Bell, David Cone, and Donovan Osborne. In the example of Donovan Osborne, we really don’t know what it takes to evaluate a LOOGY, but we know that guys who are left handed and can throw strikes are valuable. I would probably sign all of the available ones every year, if I could, so I’m not going to blame Steve Phillips for signing Donovan Osborne and releasing him 6-weeks later. Again, most teams have a draft czar, usually a Director of Player Personnel or something like that, so it can be hard to give credit or blame to a GM. In the spirit of being positive, and less negative, we wanted to show that Phillips’s team was able to uncover a couple of Major Leaguers again in 2003. Steve Phillips was dismissed on June 12, 2003. I do not believe I know more about baseball than any actual professional general manager at any level in the history of the game. We can sound pompous with hindsight on our side. In other words, it’s really easy to look at ten years in the past and make yourself a genius. I’m not sure why we’re doing this. It probably has something to do with the fact that we never have done it before, it seemed interesting enough to see if the criticism these two guys have taken is merited. After so many thousand words, it feels a bit like lunacy past the point of no return. After releasing Jerrod Riggan and Lyle Mouton, Duquette sold Jimmy Serrano and Jorge Toca and traded Roberto Alomar, Jeromy Burnitz, Armando Benitez, Greame Lloyd, and Rey Sanchez before the end of August. The Mets have had an infamous reputation as a team where the owning family meddles with decisions their baseball people should make. Who’s to know if Steve Phillips would be better if given a new opportunity? Certainly, being around the game as an analyst has kept his mind limber, but we have to wonder when he has such a long track record of foot-in-the-mouth proclamations on TV and radio. Should we give him credit that he hasn’t made much of a ripple since the “trade Stephen Strasburg for Roy Oswalt suggestion”? That was 3 months ago. It took another 2 months for Duquette to get reassigned on Omar’s first day of September 30, but for all intents and purposes, Duquette took himself out of the running for non-interim GM on July 30. *Mercifully, that will discussion be saved for another time. Jim Duquette never really got a good chance to make a positive impact as General Manager. *Can you believe the developments in Portland? The MLS is moving into Portland by granting a franchise to the Portland Timbers. That’s fantastic for PGE Park, the Timbers, and the city of Portland, which is very passionate for soccer. Unfortunately, one of the requirements for the MLS was that PGE Park be converted to a non-baseball stadium. Therefore, the triple-A Beavers were without a home to play games. They have been sold back to the Padres, who will most likely move to team to a community between San Diego and Los Angeles. Portland will get professional baseball again, once a suitable stadium is built, but it looks like it will be many years before that will happen. This should be good for the Mariners, as Portland will become an even more active part of Mariners Country, as it is for many Seahawks fans. It’s also very good for the single-A Salem-Keizer Volcanoes and triple-A Tacoma Rainiers, who should get an increase in demand from baseball fans in the area. Omar get’s criticized, I think, unfairly for signing mostly ‘latin’ players. Last year’s team was even comically called by a few people as “David y los Muchachos”. We haven’t heard much of that talk this year, mostly because it’s stupid, or because Jason Bay, R.A. Dickey, Big Pelph, and Josh Thole have gained popularity. This was the prime example of a “Oh wow!”big splash signing, showing players around the league that this team would be a big spender and competitor. They wanted more free agents to see them as major players for a trip to the World Series. I was trying to remember what other signing this reminded me of, where a team tried to make a splash to let future free agents know they were serious contenders. The more and more I thought about it, the more I believe that this was the quintessential “Hey, we’re here to win it!” moves of any recent offseason. A couple of offseasons ago, Peter Angelos hoped to recreate this momentum if Teixeira would’ve signed with the Orioles. After the big splash of getting Pedro, Minaya signed some lower profile players through December, guys like Andres Galarraga, Orber Moreno, Grant Roberts, Scott Strickland, and Chris Woodward. No offense, but those guys had very little competitive advantage to offer the Mets. Hello! Beltran was coming off the best postseason of any impending free agent in history. With the Mets, he would continue to be an extremely valuable player on both sides of the ball. We are big, Big fans for Carlos Beltran and think he’s been underrated and under appreciated. Signing Roberto Hernandez on January 17 worked well, and they have gotten good results from Pedro Feliciano. So, selling him to the Fukuoka Daiei Hawks for ’05 shouldn’t be criticized. Bill Parcells gets credit for recruiting “Parcells guys” at every stop. Omar is reconnecting with some guys from his Montreal days, and getting a defensive first baseman with World Series Championship pedigree cannot be seen as an entirely bad move. Not much more retrospective good news before Opening Day. In March, Minaya traded Jason Phillips to the Dodgers for Kaz Ishii and purchased Fernando Lunar and Benji Gil. Very nice draft for Minaya’s team, four of them are on the major league roster today. The jury system may not work anymore as a lot of moves made five years ago could still be up in the air for hindsight to provide perfect vision. There’s no doubt this was a good signing. If Minaya has erred, it is in not trading him when his value was at its highest over the last couple of years. Still, he could blossom to be a great player and is still a Met. No-one likes a wife beater, and if said wife beater can’t hit, field, or run, forget it. The Mets were 3 games out of the Wild Card on July 27, 2005, but they didn’t make any deadline trades to get them over the hump. In 2005, the Mets finished 6 games behind the Wild Card winning Astros, who eventually went on to win the pennant. Had the Mets made the postseason, they would have had as good a chance as anyone to make the World Series. Morgan Ensberg was awesome for the 2005 Astros team, by the way. Nady could always hit and was a solid prospect, but Mike Cameron was more valuable in the next few years. Besides that, Nady was used in that lousy trade with the Padres for Ollie Perez and future Roberto Hernandez. It’s nice when you root for a team that capitalizes when another good team is going through a budget induced dismantling. Delgado wasn’t in his prime as a Met, but he was good at first. I don’t think investing a lot of money in a closer is wise for most teams, but when you do it, you hope to get someone close to as good as Billy Wagner has been anywhere he’s been. Why not? Minaya went back to the well and got himself a major league backstop. After New Year’s, Omar Minaya signed Darren Oliver, Mike Venafro, Geremi Gonzalez, and traded Kris and Anna Benson to the Orioles for Jorge Julio and John Maine. There are some misses in there, but overall it feels like the Mets are getting better. That Benson for Maine and Julio trade was very good. After the Geremi Gonzalez signing, the Mets sold Angel Pagan to the Cubs and signed Jose Lima and Pedro Feliciano, further adding to the Spanish-speaking culture of the clubhouse. Feliciano, returning from his stink in Japan, was ready to be a leader in the bullpen. Julio was not good on the Mets, while El Duque continued his edge over father time. In Minaya’s second draft, his team selects another nice, albeit lackluster, crop of major leaguers. Marrero was pretty much washed up, and Matsui became a bit of a late bloomer, experiencing success for the Rockies and limited success later for the Astros. At first glance, this trade deadline deal looked like it could go either way, but when you see what Pittsburgh did with Xavier Nady, there is no question it’s a win for the Pirates. 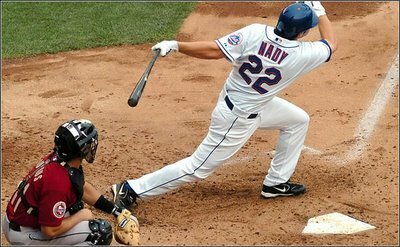 After below replacement-level performances in 2006 and ‘07, Nady had half a good year for the Pirates before they traded him to the Yankees in 2008. Fans in the steel city are reaping the rewards of that trade, where the Pirates sent Nady and Damaso Marte to the Bronx for Jeff Karstens, Daniel McCutchen, Ross Ohlendorf and Jose Tabata. Wow. The Mets were in first place by 14 games at this time. Oliver Perez started seven games down the stretch to the tune of a 1-3 record with a 6.38 ERA and 1.58 WHIP. I guess Willie Randolph was pleased with the improvement from his 2-10, 6.63 ERA, 1.83 WHIP with the Pirates. 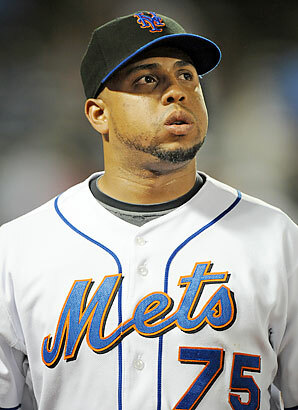 Perez’s one win with the Mets was a complete game shutout of the San Diego Padres. 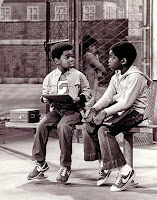 With Ollie Perez, it’s always been the same thing. He can shut out a team on any given night. Or, he can give up five runs before your bullpen is warming up. The team was in first place because of a solid bullpen, an offense mainly made up of Reyes, Wright, Beltran, and Delgado scoring enough to win, and Tom Glavine leading a group of Steve Trachsel, Pedro, El Duque, John Maine, Alay Soler, (cough) Victor Zambrano, Brian Bannister, and a 22-year old Mike Pelfrey trying to solidify the rotation. The many transactions and investments in Pedro Feliciano finally paid off in 2006, as he was a monster in their bullpen. He was second to only Guillermo Mota in ERA+ that season, and he contributed 60 innings to Mota’s 18. Under what conditions would it not be a win, when you get a power bullpen arm that goes 3-0 with a 1.00 ERA and 444 ERA+? Omar is looking like a great hire for the Wilpon family! This shouldn’t feel so long ago, but I know that to many Met fans, it feels like an eternity. Shawn Green was an overpaid, league average player for a year and a half in New York. MacLane just made his Major League debut last month, so we’ll see what he has to offer. The end of the year formed a crescendo to Game 7 of the NLCS. With the Mets desperately hanging on to hope, down to their last out, their season ended in defeat when Adam Wainwright struck out Carlos Beltran looking on a beautiful curveball. Some Met fans still hold that against Beltran, even though they wouldn’t have been anywhere near an NLCS without him that year. 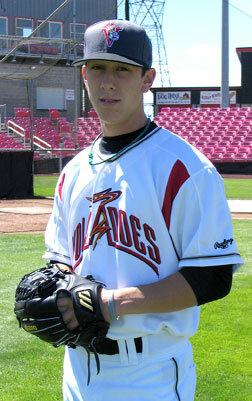 I was in Portland when Ben Johnson was a triple-A stud and Jon Adkins looked like an effective future closer. The Mets didn’t get what they expected in this deal, and Heath Bell became one of the best closers in baseball. This was another disaster. If the Mets had Heath Bell, Royce Ring, Lindstrom, and Owens, they would not have missed the playoffs in 2007 and 2008. Minaya then signed Moises Alou, who played GREAT until he got hurt each of the next two seasons, and Tom Glavine, who at least pitched 200 competitive innings in 2007. Brian Bannister is one of the most considerate major league pitchers around. He’s not lights out, but there is a place for him in the big leagues today. Ambiorix Burgos is out of the game and constantly in trouble. Incredibly, his name hit the newswire last Sunday by being charged with attempted murder. Still, this is coming off an NLCS Game 7. They should expect a few tweaks to get them over the top. Was Moises enough? Maybe if he had stayed healthy, that would have been the difference between making and missing the playoffs by a game. Over the next few months, until Opening Day, Omar Minaya signed a slew of players where none of the names jump out as players any better than maybe Fernando Tatis. Here are the players the Mets signed from December 2 to April 3, 2006: Anderson Machado, Guillermo Mota, Jorge Vasquez, Chip Ambres, Clint Nageotte, Mark Kiger, David Newhan, Jorge Sosa, Jose Paniagua, the other Jose Reyes, Andy Tracy, Scott Schoeneweis, Robinson Cancel, Jesus Feliciano, Chan Ho Park, Jason Alfaro, Sandy Alomar, Aaron Sele, Jose Santiago, Fernando Tatis, and Ricky Ledee. He’s a very young guy currently taking his lumps in the big leagues. The trade was bad, but the contract extension was worse. Castillo is still owed another $6 million for next season. They missed the postseason by one game. A better bullpen would have certainly gotten them over the top. It’s also arguable that a better deadline acquisition than Luis Castillo would have helped, too. The 2007 offseason started off slowly, with low-risk signings until November heated up with the Luis Castillo fiasco, trading Guillermo Mota to the Brewers for Johnny Estrada, and trading Lastings Milledge to the Nationals for Ryan Church, and Brian Schneider. That’s Mota and Milledge for two catchers and Ryan Church. Johnny Estrada was released a few weeks later, so they traded Mota for nothing! On January 5, 2008, they traded a couple of minor leaguers for Angel Pagan, who’s been very good for them. Sure, the minor leaguers may become very good, but we haven’t seen it at the Major League level, yet. Argenis Reyes, Jesus Feliciano, Raul Casanova, Gustavo Molina, Nate Field, Matt Wise, Andy Cavazos, Joe Hietpas, Nelson Figueroa, Jose Santiago, Olmedo Saenz, Chris Aguila, Ben Johnson, Ricardo Rincon, Juan Padilla, Jose Valentin, Brady Clark, Enrique Cruz, Fernando Tatis, and Tony Armas. To show an example of how ineffective this group may have been, my favorite players on that list are Olmedo Saenz and Ricardo Rincon. The Mets were 4.5 games behind the 1st place Phillies in a jumbled NL East that had them sitting in 4th place. Omar hasn’t made any big moves to this point, but he did pick a good hitter out of Arizona State. Ike Davis is doing very well in his rookie campaign this season. Met fans should feel free to show genuine enthusiasm towards their first-baseman of the future. The Mets were not looking good in June of ’08, and they didn’t really add any big guns and the trade deadline. Still, the team got hot in July to sit just 1 game out of first place on August 1st. In August, they signed Ramon Martinez, Brian Rogers, and Alberto Gonzalez, traded for Luis Ayala, but it wasn’t enough. The Flushing Faithful were in line for more heartbreak, as the Mets missed the postseason again by just 1 game. Cry not for Met fans, though. Take a 20-year old Pirates fan, or a 17-year old Royals fan, or a 101-year old Cub fan, if any of those mythical creatures even exist, and ask them if they prefer competitive Septembers with late season heartbreak or hopeless summers and playing out the end of the season with meaningless teams. Before doing this exercise, I personally thought Omar was to blame for not improving his team enough for the 2008 season. Now that we’ve actually checked, there is no doubt that he didn’t do enough to improve the Mets chances in the offseasons before 2007 and 2008. He’s pitched well for the Mets, but he also punched his father-in-common-law in the jaw with his pitching hand, thus injuring himself and being disqualified for the remainder of this season. At least I think that means the Mets don’t have to pay him for the rest of this year’s salary. If he comes back strong, this could be a good signing. That doesn’t change my thinking that unless you have money to burn, you should not worry so much about getting a closer because good managers and pitching coaches can find a guy in the organization and make him a good closer. We’ve talked about how much we value managers who have been known to build and maintain good bullpens: Bruce Bochy, Bud Black, Mike Scioscia, Jim Leyland, Gardie, Ozzie, and others*. *Lou Piniella had the Nasty Boys in Cincinnati, which is maybe my favorite 7th, 8th, 9th inning combination of all time. Still, I don’t think that is enough to put him on the list. Lou gets Big Ups for Carlos Marmol, though. Remember how Steve Phillips used to struggle with trades on December 11th? It seems like Minaya got unlucky this time around, too. Minaya probably should have gone to the movies to see “Frost/Nixon” or something. Minaya, naturally, wanted – no, needed – to address their festering bullpen problems. At the time, it was very exciting that they were getting two shut down closers to step in and handle the 8th and 9th. 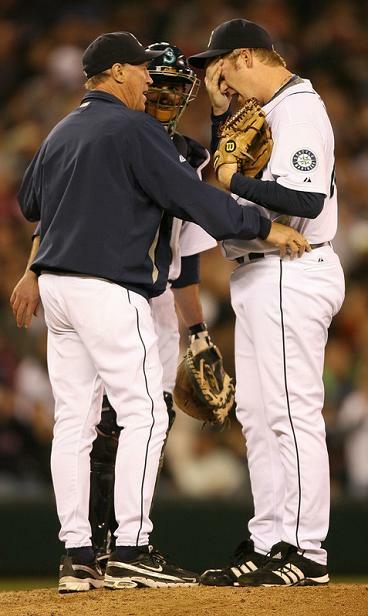 Putz had an injury-plagued 2008 while still in Seattle, so this trade had some stink on it from the beginning. The holidays and New Year’s came and went with a few small moves like trading Scott Schoeneweis for Connor Robertson and signing Omir Santos. 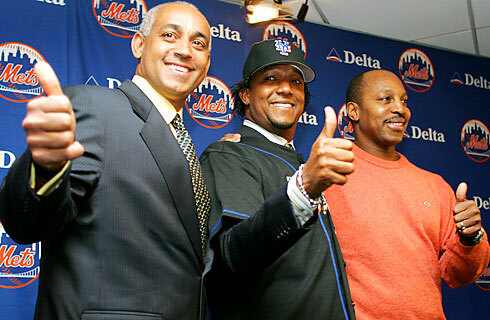 On January 12, 2009, Omar Minaya signed Tim Redding. The verdict on this signing is a pre-warned loss. This was one of those signings that made people cringe. Met fans’ attempts to try to talk up any fabricated positives towards the signing seemed equally desperate and conservative. I was relieved the Cubs didn’t sign Redding because there were rumors they were looking at him. He’s one of those guys we just knew was going to be below average. Moves like this are baffling. Minaya redeemed himself somewhat the next day by signing a utility infielder who is no doubt a future Major League manager: Alex Cora. This isn’t a huge signing for the bottom line (Wins), but the team is better in ways that cannot be measured just in 2009 Wins because Cora brings a professionalism that fosters winning and best practices. Younger players, like Jose Reyes, learn valuable lessons from Alex Cora, and their future performance will benefit the Mets even beyond 2011. Unfortunately for the 2009 Mets, Cora couldn’t really hit well and the rest of January and February was filled with bad signings like Mark Kiger, Cory Sullivan, Tom Martin, Freddy Garcia, Rob Mackowiak, Kyle Snyder, Jon Switzer, Tony Armas, Velerio de los Santos, Matt DeSalvo, Bobby Kielty, and Jose Valentin. Most of those guys didn’t even make the team, and a lot of them would be out of baseball soon after. 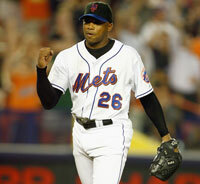 On Valentine’s Day 2009, Omar Minaya signed 1997 World Series MVP and el Duque’s younger half-brother, Livan Hernandez. He was bad for the Mets in 135 innings, getting released in August. Much like Alex Cora, Livan helped more in the clubhouse than with his on-field performance. Before Opening Day, they cut a bunch of players they never should’ve even signed and picked up a couple of usefl bullpen arms in free agent Ken Takahashi and Fernando Nieve off waivers from Houston. At least Nieve’s relatively young and still on the club. The baseball world waited for the first pitch of Opening Night on April 5, 2009, when Derek Lowe would make his Braves debut in the home ballpark of the defending champion Phillies. If you’ve gotten this far down in the post, you may remember the game. Brian McCann hit a two run homerun off Brett Myers in the 1st inning, and two batters after Jeff Francoeur hit a solo shot in the 2nd, Jordan Schafer hit another solo homerun in his first Major League at bat. This was the day before the Mets’ Opening Day. It was also the day before our first post ever on BAseball Reality Tour. That first post didn’t even have any pictures! April 5 is also the day the Mets signed Gary Sheffield. Some thought he was washed up, especially defensively. No AL team brought him in to DH and the Mets thought he could help as a part-time starter. The experiment worked well. Sheffield played in 100 games, reaching 312 plate appearances, and uncorking his 500th homerun early in the year. He hit an efficient and balanced .818 OPS vs righties and .834 OPS vs lefties, thus not existing as solely a lefty masher. Gary Sheffield’s OPS+ for the 2009 season was a robust 118. 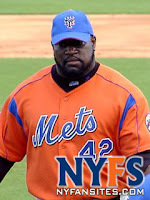 In May and June, the Mets traded for Emil Brown, Lance Broadway, and Chip Ambres. They also selected Pat Misch and Arturo Lopez off waivers from the Giants and Padres, respectively. Omar Minaya rolled another gutter ball on July 10, 2009, when he traded productive and oft injured Outfielder Ryan Church for nonproductive Jeff Francoeur. Angel Berroa was signed as a free agent, but it didn’t bury the internet stories of the madness of trading for Francoeur. Emil Brown didn’t stick around past July 20 and Brandon Knight was gone the following week. Brandon Knight sounds, to me, like a college basketball point guard. Someone named Adam Pettyjohn was signed on July 28th, and the Mets made no deadline deals. Well, on July 28th, they were 10.5 games out of first place, but only 5.5 out of the wild card, so it could have been tough to pull a full blown white flag trade, even though that’s precisely what the franchise needed. Remember, they were out of it mostly because they lost Jose Reyes, David Wright couldn’t hit homeruns, Ollie Perez was Ollie Perez, the bullpen couldn’t compensate for losing Putz, and Francouer certainly didn’t help. I think fans were relieved that they weren’t going to have to endure a third consecutive late season collapse. After the deadline, Minaya worked the waiver claims to get former Met Anderson Hernandez from the Nationals and Jason Dubios from the Cubs. As a Cub fan, I can say that an acquisition of Jason Dubois on August 7, 2009 is highly questionable. He was more of a slow pitch softball stud, or a poor man’s AL dh, but under no circumstances should he be going to a National League team in a cavernous ballpark. By late August, the Mets were sufficiently out of the race. They traded rehabbing former closer, Billy Wagner, to the Red Sox for Chris Carter and Eddi Lora. Minaya’s thoughts were that if they offered Wagner arbitration, he might take it and become a very expensive LOOGY, or Carter and Lora were more attractive than the two draft picks they’d get after he signed elsewhere. There’s a movement now to realize that trading players in with this status for two signed prospects is a bit underrated because draft picks require signing bonuses. Minor leaguers you trade for are already signed, so the bonuses to sign them are all taken care of. Building towards 2010 had few bright spots, but some of Minaya’s finds were perfect. On January 5th of this year, Minaya signed R.A. Dickey, who has been a typically late-blooming knuckleballing late bloomer. The Mets and Dickey are already rumored to be in extension talks. They traded for Gary Matthews, Jr, which didn’t work out even though someone else was paying most of his salary. They signed Mike Jacobs on February 11, which is terrible. What a waste of money. Through Q1 of this year, Minaya and his team signed a bunch of nobodies and never has beens. As they said in “Major League”, some of these guys never had a prime. I actually thought Kiko Calero was a good signing because of his recent success for Oakland, but he was actually more injured that I was aware and turned out to be useless to the Mets. It’s been a lost season for the Mets. They were only a half game out of first place on June 15, when they released Gary Matthews, Jr. The Mets have been more than a handful of games out of the postseason since a midseason freefall that started in July. Which brings us to Minaya's most recent transaction. 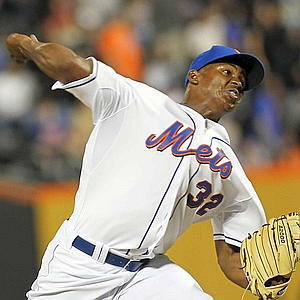 On August 31, 2010, Minaya traded Jeff Francouer to Texas for Joaquin Arias. Bravo, Omar. The last time that Arias was traded, he and Alfonso Soriano went to Texas in exchange for Alex Rodriguez. This time, he’s getting traded for Jeff Francouer. Times change. So, that’s it. Who’s been better for the Mets? Phillips? Or, Minaya? The formula for calculating this data is too complicated to share. No, check that. It’s actually too silly to even exist, but these abstract results prove my hypothesis false. Although appearances can be deceiving, it sure seems that Steve Phillips was a more successful General Manager for the Mets than Omar Minaya. Looking back now, I’m not sure it’s as simple as the fact that one of his teams made the World Series and Minaya’s did not. In the grand scheme of team building, the difference in losing Game 7 of the NLCS 3 to 1 and getting swept in the World Series is minute. Omar still has a chance because he still has his job. Even if he were fired tomorrow, there's still a chance that his record would look a lot better if Ike Davis, Parnell, Mejia, and some of the other prospects become big time stars. In the event that he's only done enough for the Mets to maintain mediocrity in an increasingly tough division, I think Phillips still did a better job. Quick, Met fans! Someone get the Wilpons in touch with Kevin Towers before another team transitioning General Managers does.